If you are looking for a high level of protection and security, both IVPN and ZenMate are excellent choices, so you cannot go wrong no matter which one you opt for. However, if you wonder which one of these packs more handy features and offers better services in general, this IVPN VS ZenMate comparison can answer all of your questions and help you make the right choice. View our detailed comparison below and discover which service is one step ahead of its competitor. ZenMate is an incredibly reliable VPN provider which uses the latest encryption protocols and provides great speeds regardless of the traffic. It comes equipped with excellent features, such as malware block and Smart Locations. Zenmate is very simple to use, which was the most important part for me as a total vpn noob. I later figured out that the free plan comes with a lot of limitations, so I switched to premium and couldn’t be happier with it. I really like how you can test the vpn before you buy it and you also have the option of continuing to use the free subscription. I also like the choice of different encryptions and connections. Frequent multi day service interruptions make this VPN extremely frustrating. Beware their automatic renewal is almost criminal in that they charge much more to renew than is widely advertised for the same "service" online. If you are foolish enough to go for zenmate then you should cancel immediately to avoid getting ripped off on renewal. 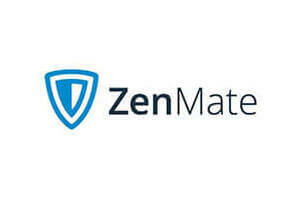 ZenMate is a high-quality VPN service provider that offers great speeds and strong encryption. It includes tons of useful features, including malware block, Smart Locations, and EverSecure.